<h2>A new TB vaccine is within reach – Prof. Helen McShane</h2><br /><p><strong>How common is TB?</strong></p> <p>‘TB is the most common cause of death from an infectious disease, eclipsing HIV which is increasingly treatable with antiretroviral medicines. Africa and Asia are worst affected, but several countries are making real progress. Rates of TB are coming down globally thanks to better diagnosis and follow-up, and prompt treatment once the disease is identified. However, we need to increase the pace of progress and intensify TB control measures.</p> <p>‘In Western Europe, the number of people affected is declining slowly – there are around 5,000 new cases per year in the UK. In Eastern Europe there is a particular problem with drug-resistant TB which is a concern because, once you are infected, the disease is very difficult to treat.’</p> <p><strong>Isn’t there already a TB vaccine? </strong></p> <p>‘The BCG vaccine is the only licensed vaccine against TB today. It was first developed in 1921 and has been given to 3 billion people around the world. If the vaccine is administered at birth, it provides good protection against what’s called disseminated disease – meaning TB outside the lungs. However, it gives variable protection against pulmonary TB (disease in the lungs).’</p> <p><strong>Why? 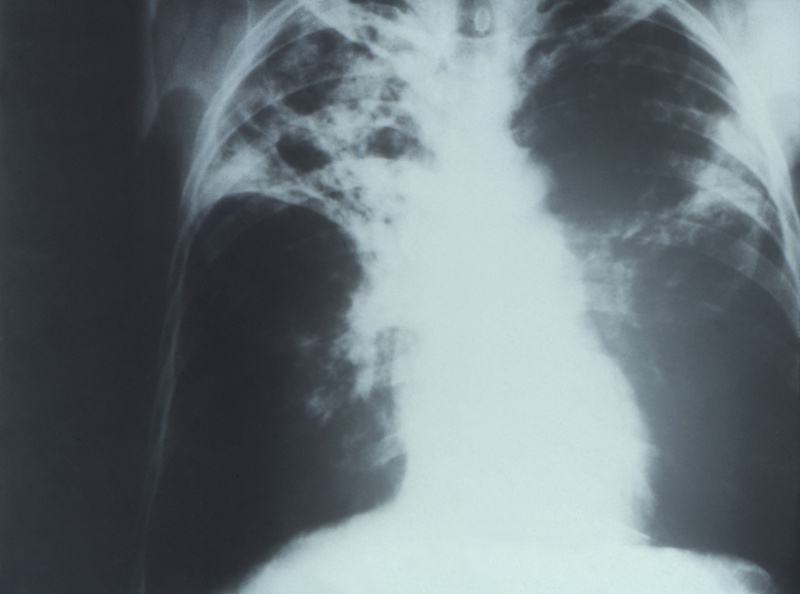 </strong></p> <p>‘Data from the UK shows that the BCG vaccine is 80% effective against pulmonary TB, but a study in India showed it didn’t work so well. It appears to be less effective in areas where TB is very common. There are a number of theories as to why this is, but the most prominent explanation is that exposure to non-tuberculous mycobacteria (NTM) – bugs from the same family as TB that don’t usually cause disease – interferes with the efficacy of the BCG vaccine. The closer you live to the equator, the greater your exposure to NTM, and the less effective BCG is. That’s why so many scientists are working on new vaccines.’</p> <p><img class="@alignleft@" title="There are around 10 million new cases of TB around the world each year. Image credit - Public Domain Files, this picture is in the public domain" src="https://horizon-media.s3-eu-west-1.amazonaws.com/s3fs-public/IMCEUpload/tblung.jpg" alt="There are around 10 million new cases of TB around the world each year. Image credit - Public Domain Files, this picture is in the public domain" width="2707" height="2010" /></p> <p><strong>Why has it proven difficult to develop a new TB vaccine? </strong></p> <p>‘There are three main reasons why it is difficult to develop a new TB vaccine. First, TB is very clever. If you’re infected with TB, the bacteria that causes the disease hides from your immune system. This makes it hard for your immune system to clear the infection.</p> <p>‘Second, we do not know what kind of immune response will protect (the person from TB), and therefore what kind of immune response we need a new vaccine to induce. In contrast, if you were developing a new vaccine against meningococcal disease, for example, you can look for a particular kind of immune response. If you detected this immune response after vaccination, you’d know the vaccine had worked. As a result, we cannot rely on the immune response induced by new vaccines. Therefore, we have to do very big and very expensive clinical (human) trials on TB vaccines in areas where the disease is very common, in order to establish whether or not a vaccine stops people getting TB. &nbsp;&nbsp;&nbsp;</p> <p>‘Third, there are also challenges with using animal models in TB research. For many diseases, there is an established animal model that can tell us a lot about how a vaccine or treatment works before we move to human trials. In TB, we don’t know which animal model best predicts how a vaccine will perform in humans.’</p> <p><strong>Given these challenges, how are scientists developing new vaccines? </strong></p> <p>‘I am part of the <a href="https://cordis.europa.eu/project/rcn/194057/factsheet/es" target="_blank" rel="noopener noreferrer">TBVAC 2020</a> consortium that brings together TB vaccine researchers from across Europe, as well as scientists from Africa and South East Asia.</p> <p>‘What’s unique about this group is the strength of its collaborative spirit – researchers are very open about sharing data and samples, giving a real sense of cohesion. This also makes for greater efficiency in the field because it reduces duplication and pools expertise. Collaboration accelerates the pace of progress.</p> <p>‘There are teams designing and testing vaccines in animal models, testing vaccines in humans to measure immune responses, and working with vaccine development experts to move research from the lab to clinical trials. Some are working to genetically engineer the BCG vaccine to make it better, others are trying to make a vaccine using a weakened strain of TB, and my own team is taking a few proteins from the bug and delivering them to the immune system using a virus to stimulate an immune response.’</p> <p><strong>How close are we to a new TB vaccine?</strong></p> <p>‘In the year 2000, there were no new TB vaccines in clinical trials. Today there are over a dozen – many of them coming from the TBVAC European consortium of vaccine developers.</p> <p>‘The key result from last year came from a trial of M72/AS01, a potential TB vaccine developed by GSK. In a trial in African adults who were already infected with TB but did not have symptoms, the candidate vaccine was 54% effective at stopping people from developing TB disease. This is a strong signal that it’s protecting them from TB and is a really important result for the field.’</p> <p> <div class="quote-view quotesBlock quote_horizontal"> <div class="quotesTop"><img src="https://horizon-magazine.eu/sites/all/themes/horizon/images/quotes_top.png" alt="" title="" /></div> <p>'In the year 2000, there were no new TB vaccines in clinical trials. Today there are over a dozen. '</p> <blockquote><p>Prof. 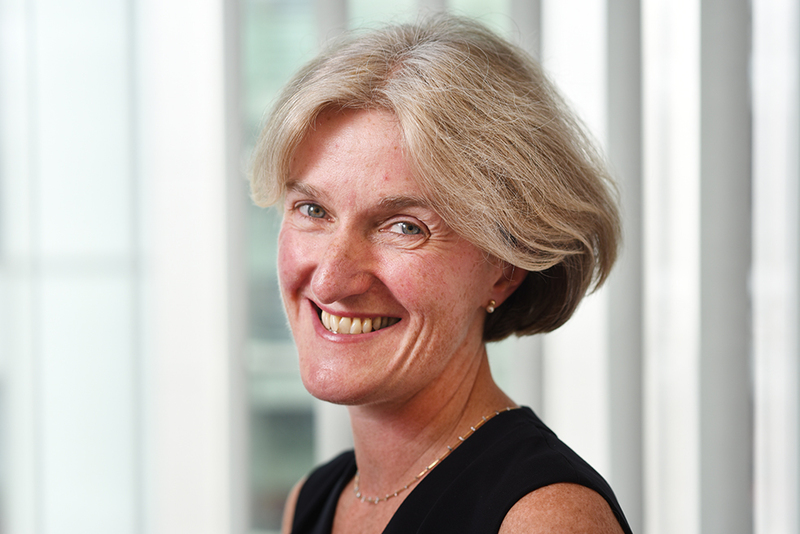 Helen McShane, University of Oxford, UK</p></blockquote> <div class="quotesBottom"><img src="https://horizon-magazine.eu/sites/all/themes/horizon/images/quotes_bottom.png" alt="" title="" /></div> </div> </p> <p><strong>You’ve mentioned that some strains of TB are drug resistant. Could a TB vaccine solve this problem?</strong></p> <p>‘Antimicrobial resistance is a huge global health challenge. A vaccine that prevents TB means less antibiotics are needed. This reduces the development of drug resistance.</p> <p>‘As well as vaccines that prevent infection, researchers are starting to think about using therapeutic vaccines. A vaccine which could stimulate the human immune response might work with drugs to expedite cure (by helping the antibiotics to work better).’&nbsp;</p> <p><strong>Who is the main target for a new TB vaccine? </strong></p> <p>‘There are three: infants, especially in Africa, people living with HIV, and adolescents and young people – a particularly important group given the economic impact the disease can have, and because young adults are responsible for much of the spread of the disease.’</p> <p><strong>Why do adolescents and young people spread TB more than other age groups? </strong></p> <p>‘They develop smear positive disease – which is the most infectious form. Infants do not develop smear positive disease and therefore do not transmit TB in the same way.’</p> <p><strong>In countries where TB is common, are anti-vaccine campaigners are problem?&nbsp; </strong></p> <p>‘The anti-vaccine lobby is a global problem. It was once presumed to affect only affluent regions where people had forgotten how deadly vaccine-preventable diseases are, but that’s no longer true. I believe we need a sustained education programme to show how carefully tested, how safe, and how effective vaccines are. Vaccines save two-to-three million lives a year – an effective TB vaccine could help to increase that number.’</p> <p><em><strong>This interview has been edited for length and clarity.&nbsp;</strong></em></p> <p><strong>Map: How common is TB?</strong></p> <p><iframe src="https://horizon.carto.com/builder/e4af0f03-4fee-4dda-8d13-68a1b71bc18e/embed" width="100%" height="520" frameborder="0" allowfullscreen="allowfullscreen"></iframe></p> <p><em>Data source: World Health Organization, 2017</em></p> <p><em>The research in this article was funded by the EU. If you liked this article, please consider sharing it on social media.</em></p> <br /> <img src=”http://www.google-analytics.com/collect?v=1&tid=UA-40077089-1&cid=a-new-tb-vaccine-is-within-reach-–-prof-helen-mcshane&t=event&ec=republish&ea=read&el=a-new-tb-vaccine-is-within-reach-–-prof-helen-mcshane&cs=republish&cm=republish&cn=republish&cm1=1" /> This post <a href="https://horizon-magazine.eu/article/new-tb-vaccine-within-reach-prof-helen-mcshane.html">A new TB vaccine is within reach – Prof. Helen McShane</a> was originally published on <a href="https://horizon-magazine.eu/">Horizon: the EU Research &amp; Innovation magazine | European Commission</a>. Map: How common is TB?